The bloggers of The Coupon Queen Bee are definitely Wholly Guacamole fans! All three of us love the guacamole and we are dip fanatics. We love the slogan of Get Off The Ranch. The Biggest Loser tv show does as well! They have teamed up with Wholly Guacamole for a awesome contest called "Buddy Up and Win". I watch the tv show all the time and it really has inspired me to be my own Biggest Loser. I have declared that I will lose 30 lbs before my 30th birthday in 3 months. 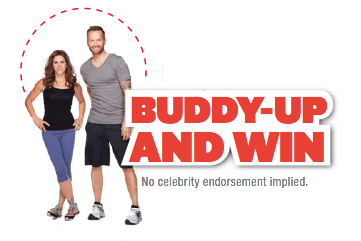 The Buddy Up and Win Contest has a grand prize to win a trip to the Biggest Loser Resort in Malibu CA along with other winners who will get Wholly Guacamole products. I would love to win some of the 100 Calorie packs! I tend to get a bit crazy with my Wholly Guac and these would help me control the portion. Go to eatwholly.com/thebiggestloser and, in 200 words or less, tell them how you and your Battle Buddy inspire and support each other in your weight loss journey. You can join Wholly Guacamole on Twitter Tuesdays during the show to tweet with them. ** I was not paid for this post. I may receive coupons from Wholly Guacamole for this post. This is my own opinion. 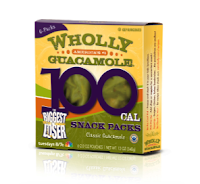 I do love Wholly Guac and The Biggest Loser is an inspiring show for me!